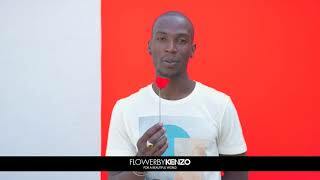 FLOWER BY KENZO was born of a poetic daring : to bring a flower forth in the city. A strong, liberated flower, to pierce the concrete and infuse the air with its magic. A flower to touch women. A flower to make the world a more beautiful place. Only an uncommon fragrance could symbolize the poppy. Reveal its singular blend of power and fragility. Justly express its poetic power. Only a floral fragrance could do all this. The master perfumer Alberto Morillas chose the queen of all flowers: the lush, elegant, quintessentially floral Bulgarian rose. Acacia farnesiana and May blossom provide their finesse. Parme violet adds its understated, sensuous notes. A Bourbon vanilla absolute and white musks wrap these flowers in an addictive softness. A restrained floral fragrance recognisable anywhere. The ephemeral poppy sets the tone. Love life and live with passion. Celebrate each moment together & sing in unison. 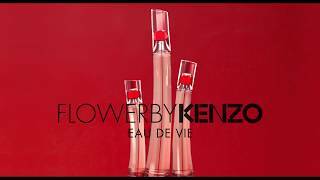 FLOWERBYKENZO unveils an irresistible fragrance, a true olfactory interlude that becomes pure obsession. Ginger zest sets the brisk and intense pace, while the floral heart enters the spotlight. The top notes unleash scents of orange blossom, creating addiction with its utter delight. Bulgarian Rose adds contrast to this fragrant duo, and the base notes emanate with the sensuality of Tonka Bean, giving this new opus its signature. The poppy captures the energy and sensuality of light in a dazzling floral scent. Bergamot zest, Bulgarian Rose, Jasmine Sambac and dazzling Musks compose an addictive and intensely modern halo. For a radiant woman and a bright world! Are you familiar with the bewitching power of poppy? A precious flower with inestimable power. As it blossoms, it emits vibrant sensuality that reveals the very essence of women and their most captivating facet. FLOWER BY KENZO L'Elixir celebrates this femininity with a delectable floral fragrance. Succulent Raspberry and Bulgarian Rose essence create a delightfully elegant alchemy, into which Bourbon Vanilla and Praline infuse sensual addiction. FLOWER BY KENZO. The power of a flower. For a more beautiful world. A simple and beautiful, fragile and strong red flower, like the woman who holds it. The Eau de Toilette reveals a lighter facet of the poppy fragrance. Mandarin, a bouquet of Bulgarian Roses and Violets and a powdery Vanilla and White Musk accord lend their signature to this fresh, sparkling and subtle floral fragrance. full of poetry, life, emotions and humanity. between people is real and genuine. Celebrating positive human values – generosity, peace, human bonding and beauty - in an increasingly harsher world. Building bridges rather than walls. Praising joy and life. The power of being together, of a smile, of focusing on a strong and inspirational female image. A bold poetic act for a more beautiful world. Kenzo Takada, Kenzo's founder, loved to pepper his fashion collections with the poppy, his flower of predilection. A paradoxical flower. Wild, joyful, indomitable and seemingly fragile. Growing in places you wouldn't expect. Unsuitable for a bouquet. And – irony of ironies – devoid of fragrance... But never mind that! The challenge was greater still: To compose the perfume of a flower that, until now, expressed itself uniquely in the language of colour: an intense, vibrant red like a cry of joy. The designer Serge Mansau took inspiration from this surreal interaction between the city and the flower to create the FLOWER BY KENZO bottles. Bottles, because there are three of them. Three almost excessively slender glass towers which rise to the heavens like triumphant skyscrapers. However, they reveal a slight curve. Perhaps they are affected by the poppy's grace, soaring upwards in turn to leave its trace in the air. Or perhaps they evoke the sensuous curve of a woman's neck... On these three streamlined bottles, the poppy blooms and spreads. It has finally found its bouquet. A fine, delicate, ethereal, weightless bouquet. Kim Tae-Ri is a South-Korean actress, rising star of the Asian cinema. Known internationally for her role in the movie The Handmaiden, she lends her strong and fragile character to the emblematic fragrance FLOWER BY KENZO. Patrick Guedj was the artistic director of KENZO Parfums. He is also a film director, photographer, writer and traveller. For over 10 years, he has left his singular, poetic and sensual mark upon the brand’s advertising campaigns. Kim Tae-Ri is a South-Korean actress, rising star of the Asian cinema. Known internationally for her role in the movie The Handmaiden, she lends her strong and fragile character to the emblematic fragrance FLOWER BY KENZO. As she passes by, she breathes life into those she meets. She sings. She makes the world more beautiful. Marta Pozzan, an actress, model and opinion leader, plays in the film. The women, men and child that her young character comes across in the film are all inhabitants of San Francisco. Romantik çiçeksi, “Flower” serisinin en parlak kokusu Eau de Lumiére; bergamut, beyaz misk, yasemin ve Bulgar Gülü içerikleri ile vücudunuzu saracak. Les essentiels des vacances ❤️ Un joli maillot, un panier, du parfum frais et des fruits de saison a gogo. Recuerdo perfectamente cuando estaba en la secundaria (4°año) y se lanzaba este perfume. La prima de una amiga lo tenía y les juro deseaba ser grande como ella para tenerlo. 혁신적인 쿠션 퍼퓸인 #플라워바이겐조르쿠션 은 연말 선물로 제격! Choose a country or region to view the specific content for your geographic location as well as the language.